FileZilla Client is a fast and reliable FTP client that offers many useful features and an intuitive interface. It was started as a computer science class project by Tim Kosse and two classmates that decide to release it as an open-source project. The program allows you to transfer files and navigate among folders, Web sites, and your computer. 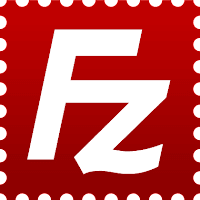 FileZilla is cross-platform program available for Windows, Mac and Linux OS. FileZilla supports FTP, SFTP and FTPS (FTP over SSL/TLS), and enables you to perform multiple file transfers simultaneously. Disclaimer: Direct downloads for the lastest version of FileZilla 3.27.1 are provided by the official software's author, we can't guarantee safety, availability or download speed. Moreover, we don't and we won't provide any pirated/illegal versions or tools. We recommend you to avoid it as these methods can harm your device. If you like the software, buy it to support the developers. (We provide software discounts for many worldwide brands).